To do this, you will need to check PH and sanitizer levels. The water can become too acidic or too alkaline in the course of regular use and chemical treatments. Acidic water irritates the skin and can also corrode the tub and its components. Alkaline water can cause stains and deposits on the wooden tub. The right balance between acidity and alkalinity (pH balance) is maintained using additives that increase or decrease it. Whether an increase or decrease is needed is determined by using test strips that tell you visually what to do. The pH scale has a range of 0 – 14 with 0 being very acidic, 7 being neutral and 14 being very alkali. The recommended pH balance is in the range of 7.2 and 7.8. (this is only a guide). The sanitising of your wood-fired hot tubs water is necessary to kill bacteria and help in the prevention of algae growth. Use shock oxidizers and/or filter pump to keep the water clean. Shock Oxidizer oxidizes the water and helps to get rid of organic matter like dead skin, skin oils, cosmetics and lotions. By using it once a week helps prevent bacteria and cloudy water. There are two types of shock, non-chlorine shock and chlorine shock. We recommend to use only non-chlorine shock in our hot tubs. Furnaces that we use in our wood burning hot tubs are made of marine aluminum and chlorine based products may damage the furnace. 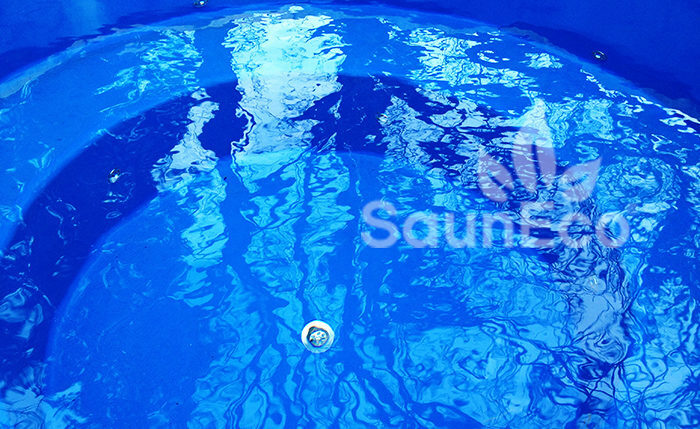 We offer “Soft & Easy” water care and pond filter system together with our wooden hot tubs. “Soft & Easy” is a completely new intelligent care concept, based on active oxygen, which have benefits over traditional sanitizer methods. Filtration system provides mechanical and biological filtration plus the built-in 9-watt UV clarifier helps keep the water crystal clear. As well as sanitizing the water, it is important to change it every month to three months depending on the usage. No amount of chemical additives can protect you completely in water that is old and dirty. 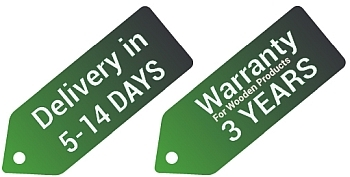 By keeping your wood hot tub clean and fresh, you will be able to use it for years to come. We recommend to clean your hot tub at least once per month for optimal use. If you keep having trouble with your tub looking dirty you probably need to adjust the pH levels of the water in the tub. Never use chlorine to clean the wood. That will destroy the face of the wooden fibers and make a worse mess of the wood. Wood is an organic material and chlorine destroys organic matter. …the scrub brush and water. Keeping the water balanced is the best way to keep the tub clean. That way you only have to wipe the tub at the water line. Use a scrub brush or a terry towel to wipe the tub. Use a towel with baking soda for tough areas. If you need further cleaning than just a good wipe down, add a little bit of baking soda to your terry cloth. Use it to wipe off the interior walls of the wood hot tub. Rinse the tub off with water and flush the water out of the tub. Once you have cleaned using the terry cloth towel and baking soda, you can rinse off the walls of the hot tub with warm water and allow them to dry. NB! This is only a guide and you should always take care when adding chemicals. Our prices are not set in stone. Request a personal price quote! Our experienced and friendly staff is ready to answer all your questions.